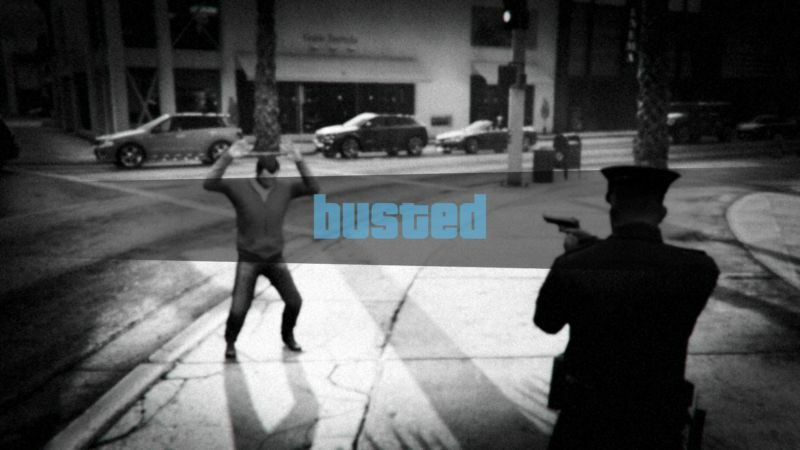 Judge orders $150000 in damages in GTA Online cheating case	. A federal court has filed a default judgement against Jhonny Perez, the maker of Grand Theft Auto Online cheat program Elusive, in a copyright infringement suit. Southern District of New York Judge Kevin Castel has ordered Perez to pay the statutory maximum of $150,000, plus attorney's fees, after Perez declined to answer the charges in court. Elusive is one of a number of "mod menus" that let Grand Theft Auto Online players take practically full control of the multiplayer game environment, including granting the ability to generate infinite amounts of in-game currency. That in turn "undermines Take-Two's pricing and sales of legitimate virtual currency," as the ruling obtained by TorrentFreak puts it. The ruling also says Elusive caused "Take-Two to lose control over its carefully balanced plan for how its video game is designed to be played... harm[ing] Take-Two's reputation for maintaining its gaming environment [and] discouraging users from further purchases and gameplay." Take-Two says it has no way of knowing exactly how much revenue has been lost due to the use of Elusive, but it estimated damages of at least $500,000 in the suit. Elusive was sold for anywhere from $10 to $30 for months before being forced offline last February after what Perez called "discussions with Take-Two Interactive." At the time, Perez said he would be "donating our proceeds to a charity designated by Take-Two," though the judgement makes no mention of such an arrangement. Prior to this ruling, Take-Two convinced an Australian court to freeze the assets of five men suspected of being involved with the development of Infamous, another cheating tool. Take-Two's legal victory is the latest in a wide-ranging effort to stem an ever-present wave of cheating that has plagued Grand Theft Auto Online since its 2015 launch. Other similar mod menus were forced offline in 2017 after discussions with Take-Two, and the publisher has routinely banned cheat users and cleared out their in-game accounts in an effort to rebalance the in-game economy. In 2017, Take-Two's dragnet against online cheating briefly roped in OpenIV, a single-player modding tool that some players were exploiting for online advantages. After being forced offline for a couple of weeks, OpenIV came back with changes to protect the multiplayer portion of the game.